Mileages: York  13 miles, Thirsk  11 miles (Distances Approximate). 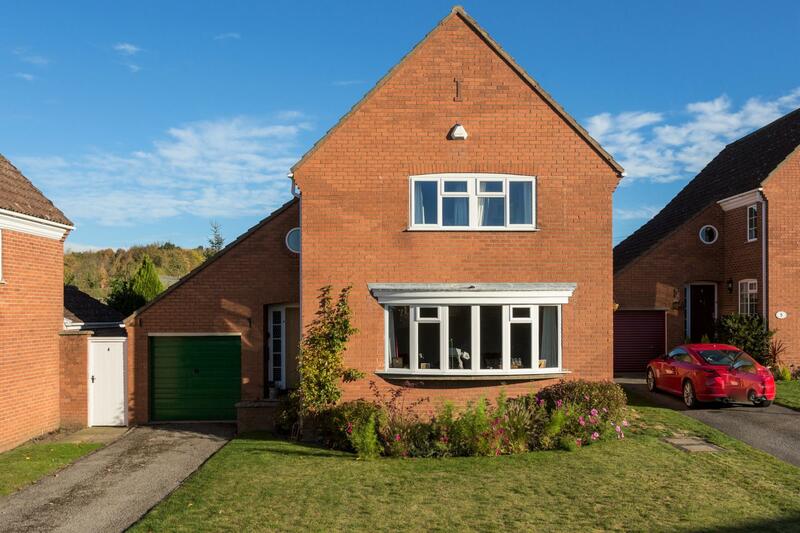 Stylishly appointed and immaculately presented, 3 Bedroomed Extended Detached Family Home offering generous and well-proportioned accommodation, set within good sized landscaped gardens with farmland views at the rear. With UPVC double glazing, Oak Internal Doors and Gas Fired Central Heating (New Boiler). Storm Porch, Reception Hall, Cloaks Hanging Area, Cloakroom/WC, Lounge, Separate Dining Room, Family/Garden Room, Refitted Kitchen. First Floor Landing; Master Bedroom, Dressing Room, Bedroom 2 Walk-in Dressing Room, Bedroom 3, Refitted Family Bathroom and Separate WC. 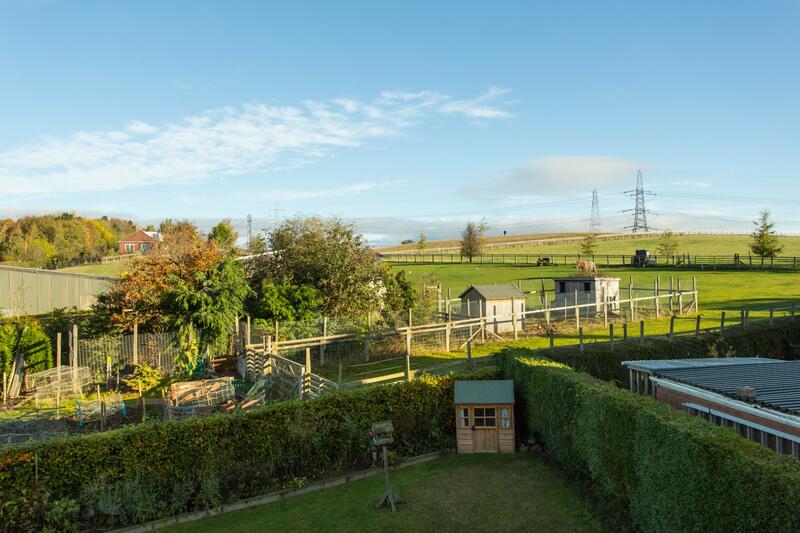 Generous open plan front Garden, Driveway providing plenty of off-road Parking, Attached Garage, Good sized part walled landscaped rear Garden with farmland views. 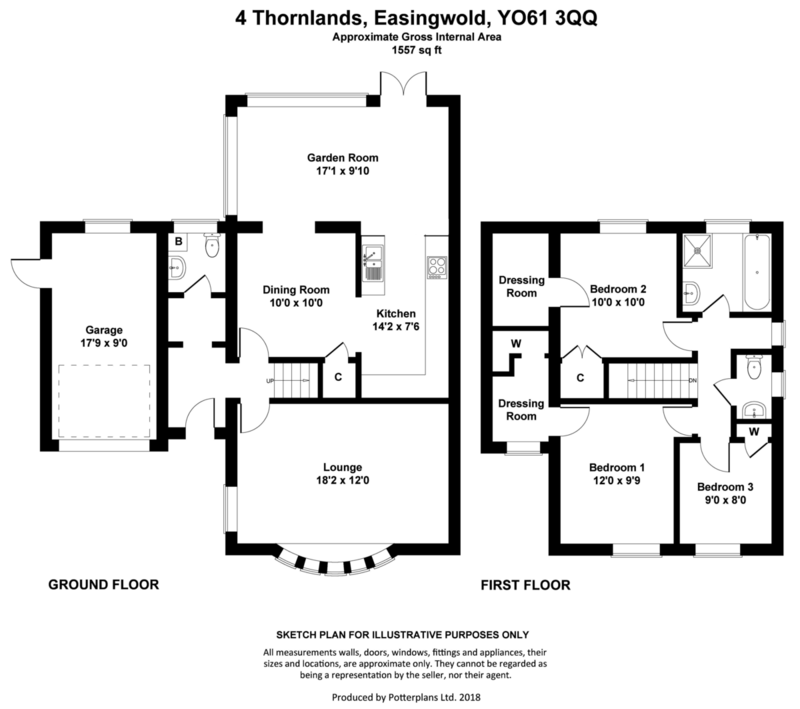 Within walking distance of Easingwold Market Place amenities, No. 4 Thornlands is a deceptively spacious detached 3 bedroomed family home which has been extended and stylishly refurbished in recent years to include; Oak Doors, New Central Heating Boiler, Brand New Fitted Kitchen and replacement Bathroom Suite and Separate WC's together with Garden Landscaping and is now worthy of an internal inspection to fully appreciate. From a recessed storm porch, a new oak and glazed ENTRANCE DOOR opens to RECEPTION HALL with stairs leading up to the first floor. An inner cloaks hanging area and CLOAKROOM with replacement white suite comprising; low suite WC, vanity basin with cupboard under, shelved cupboard housing the recently replaced gas central heating boiler, tiled floor. 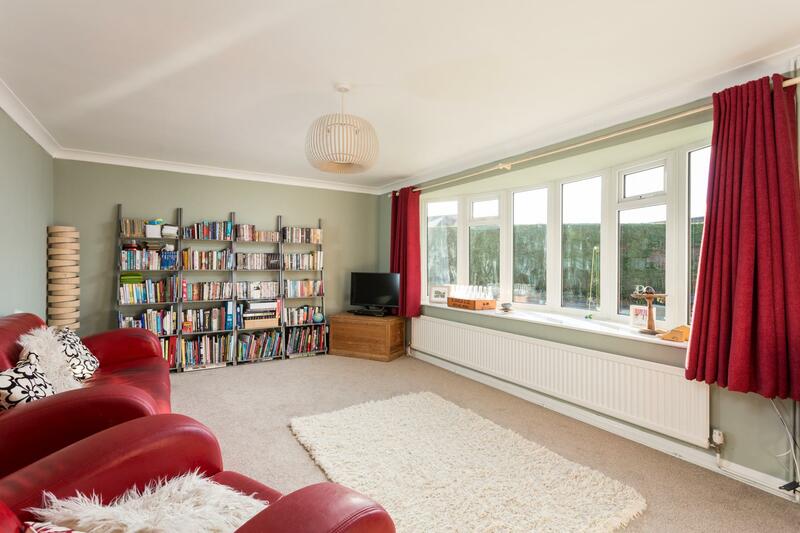 At the front is the LOUNGE, which has a wide oriel window overlooking the south facing open plan garden. 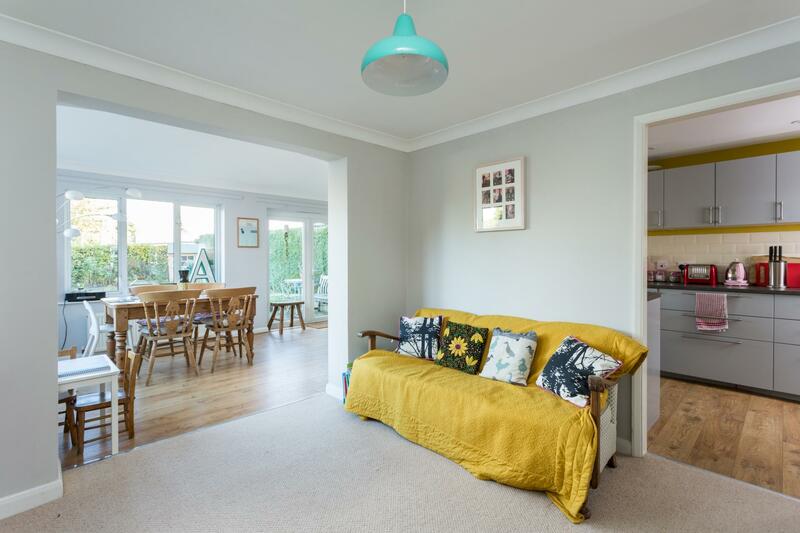 Separate DINING ROOM, with understairs cupboard and a good sized FAMILY/GARDEN ROOM enjoying dual aspect over the enclosed gardens and French doors opening onto a private patio. The KITCHEN, has recently been refitted with a range of light grey cupboard and drawer, wall and floor fittings complimented by ceramic brick styled mid-range, integral fridge with freezer under, dishwasher, ceramic sink unit with swan mixer tap, built-in washing machine, inset 4-ring gas hob with stainless steel chimney style extractor over, double oven under, wood grain laminate floor. From the Reception Hall, stairs with a handrail rise to the first-floor landing. 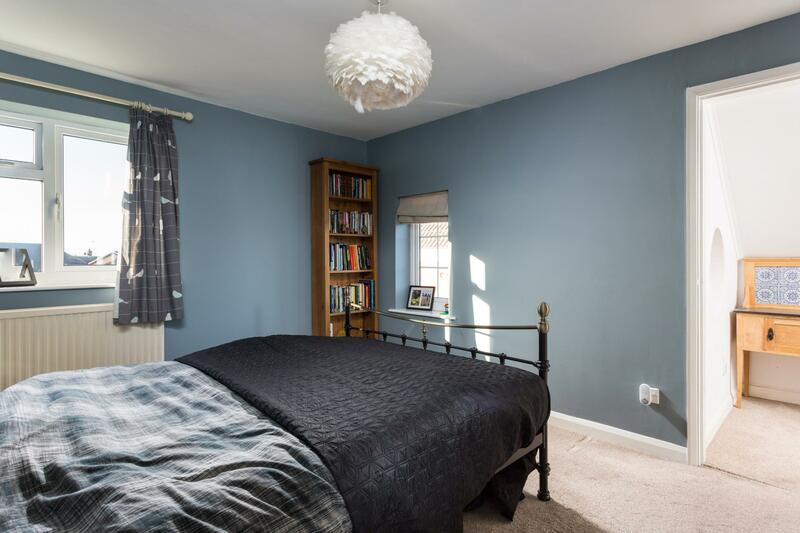 MASTER BEDROOM, with dual southerly aspect and a walk-in DRESSING ROOM, having a port hole window, recessed wardrobe and hanging rail. BEDROOM 2, with elevated views over the gardens towards rising farmland, walk-in DRESSING AREA/WARDROBE. 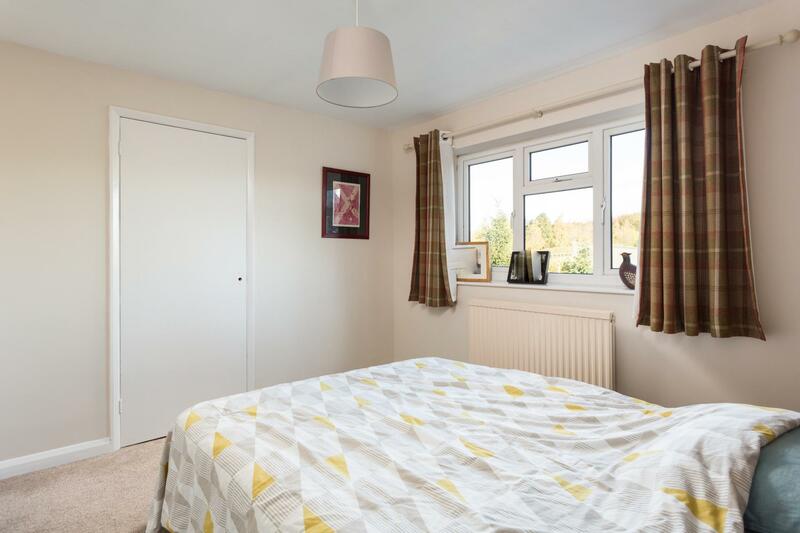 BEDROOM 3, enjoys a southerly aspect and wardrobe/cupboards. 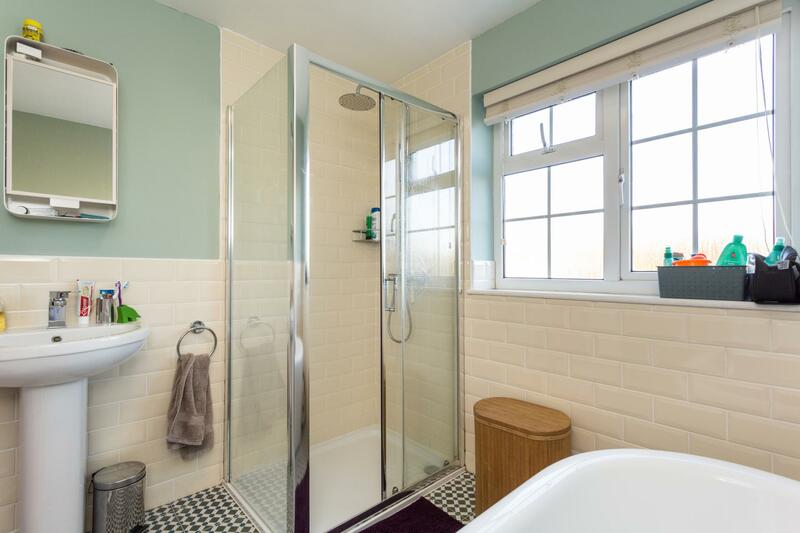 The FAMILY BATHROOM, has half tiled walls and a white replacement suite comprising; shaped bath with swan mixer tap and handheld shower, corner shower cubicle with overhead rose, pedestal wash hand basin, heated towel radiator, tiled floor. Separate CLOAKROOM, with white suite, low suite WC, wash hand basin with tiled splash, tiled floor. 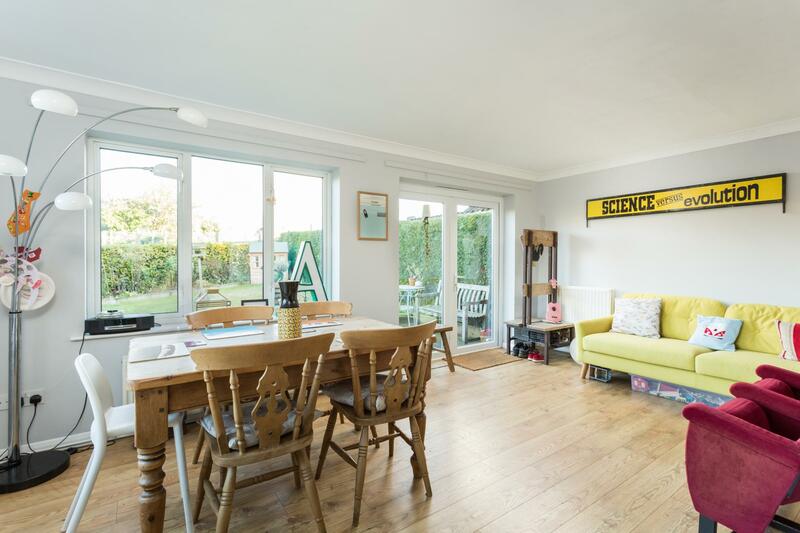 OUTSIDE At the front is an established open plan lawned garden with tarmac driveway providing plenty of off-road parking, in turn leading to the attached GARAGE, 17'9 X 9'0, metal up and over door to the front, window side, side personal access door, light and power. 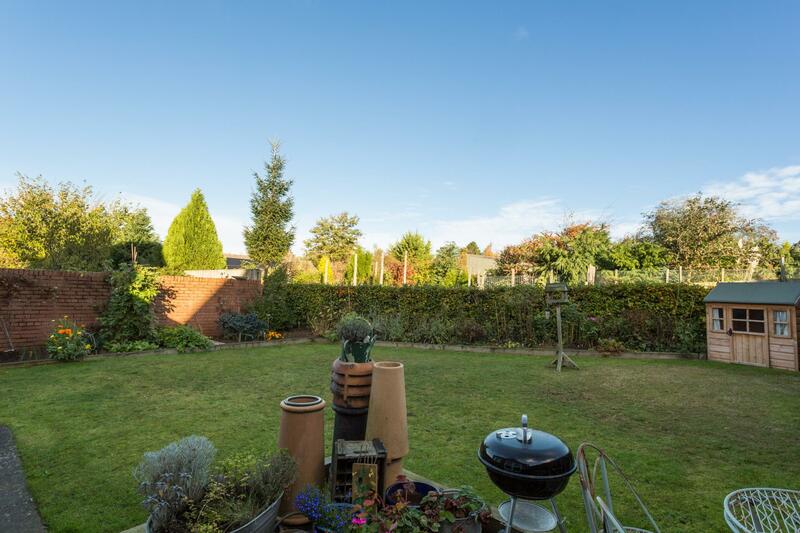 A side hand gate opens to a generous part walled rear garden, predominantly laid to lawn, having established and mature shrubbery borders with allotment style raised beds. A paved patio adjoins the French doors of the Garden Room. LOCATION Easingwold is a busy Georgian market town offering a wide variety of shops, schools and recreational facilities. There is good road access to principal Yorkshire centres including those of Northallerton, Thirsk, Harrogate, Leeds and York. The town is also by-passed by the A19 for travel further afield. SERVICES Mains water, electricity and drainage, with gas fired central heating. DIRECTIONS From our central Easingwold office, continue into the Market Place, and take the road through Uppleby. Turn left signposted Oulston onto Oulston road, turn right into Thornlands, and follow the road around, whereupon No. 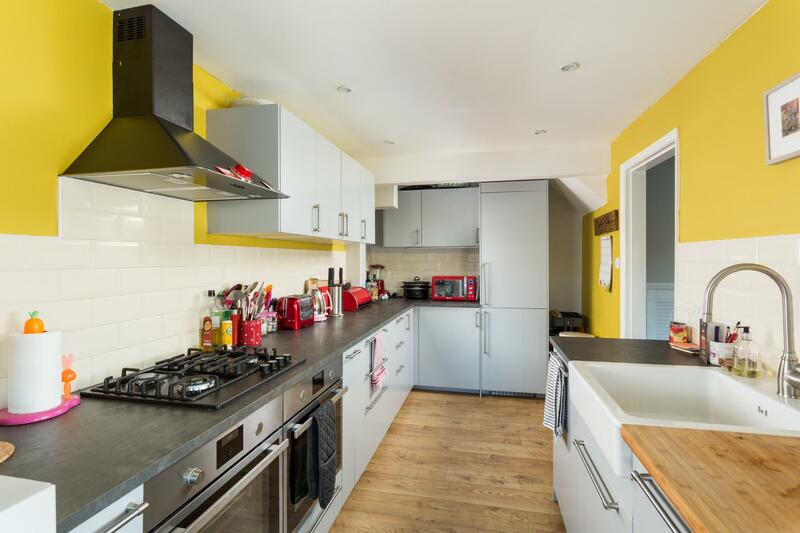 4 is positioned on the left-hand side, and can be identified by the Williamsons 'For Sale' board.